Here’s what will be taking over city streets near you. EVERY YEAR, DIFFERENT food, drink and dining trends capture the public’s imagination. Gin, doughnuts, and burritos are just some of the foodie fads that have taken hold over the last few years. This year saw countless new bars, cafés and restaurants open around Dublin, each offering something unique and dynamic. Think cheese toastie cafés, natural wine bars and bubble tea rooms. Food consultant and writer Ali Dunworth says there was a marked rise in the number of high-end casual restaurants opening in Dublin. “You’re still getting that level of sourcing and great ingredients and on-trend cooking that you expect from a new restaurant but you don’t have to get dressed up to go out and you don’t have to spend a fortune,” she says of the shift. So what can we look forward to seeing more of in 2019? 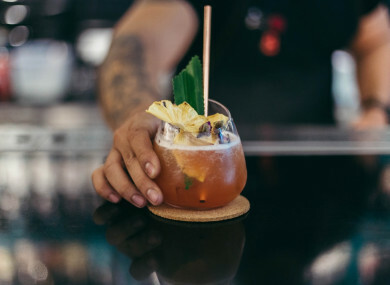 With more and more venues beginning to properly embrace non-alcoholic drinks, it looks like the trend is only going to get bigger over the next year. “I just did No Booze November and I do it every year and for the first time I was able to go out and have non-alcoholic options,” says Dunworth. She points to the availability of non-alcoholic spirits like Seedlip and Silk Tree as well as the prevalence of mocktails in various venues around Dublin. Likewise non-alcoholic beer and low-alcoholic beer are growing more and more popular. One only needs to look at Bodytonic’s extensive no-alcohol/low ABV menu. Expect it to hit your local soon. Dunworth says that high-end eateries are finally beginning to embrace beer. “In the last few years the craft beer companies have gone all out with their design,” she says. “They look beautiful and in a lot of the nicer restaurants in London, I found they were putting those on the menu. You could be choosing from ten or twelve beers in a restaurant, which is unheard of.” Dublin restaurants, take note. Many of Dublin’s coffee maestros are beginning to diversify and dip their toe into the world of evening dining. First Draft Coffee on Lennox Street and Grantham’s on Camden Market now operate as wine bars in the evenings while 3fe‘s Colin Harmon is set to open his first restaurant Gertrude on Pearse Street. Email “Beers, barbecue and booze-free cocktails: The insider's guide to the food and drink trends coming in 2019”. Feedback on “Beers, barbecue and booze-free cocktails: The insider's guide to the food and drink trends coming in 2019”.